I kind of stumbled on this meal when I was making dinner the other night. My plan was to make one of our family favorites Pasta Fagioli, but when I looked in the pantry I discovered we had no pasta! The only thing we had was a half empty box of lasagna noodles, rice, and quinoa (yes I realized immediately I really needed to go grocery shopping). I thought about breaking up the lasagna noodles, but didn't think there would be enough food. 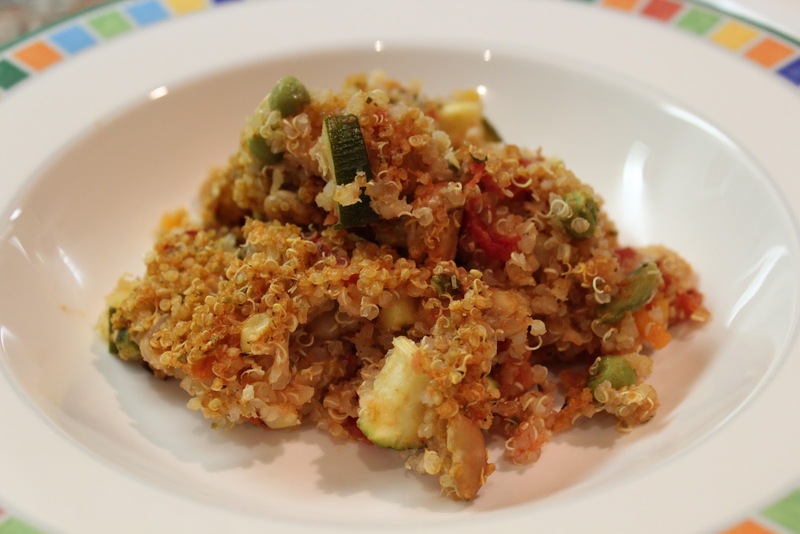 Then I got an idea, why not try quinoa and make it like the Quinoa Casserole I made a few weeks ago. Luckily it worked, and was really delicious (love when things work out like that!). You can puree this for little ones 8+ months or feed as is for little ones 10+ months. Preheat oven to 375F. Cook quinoa according to box. Heat 2 tsp olive oil in a large deep skillet over medium high heat. Add garlic and cook for 30 seconds. Add chopped zucchini and cannellini beans and saute for 5 or so minutes. Add frozen veggies, can of diced tomatoes, Italian seasoning, 1/4 cup Parmesan cheese and cook for another 2 to 3 minutes. Remove from heat and add cooked quinoa, 1/4 cup parmesan cheese, and marinara sauce and mix together. Season with salt and pepper to taste. 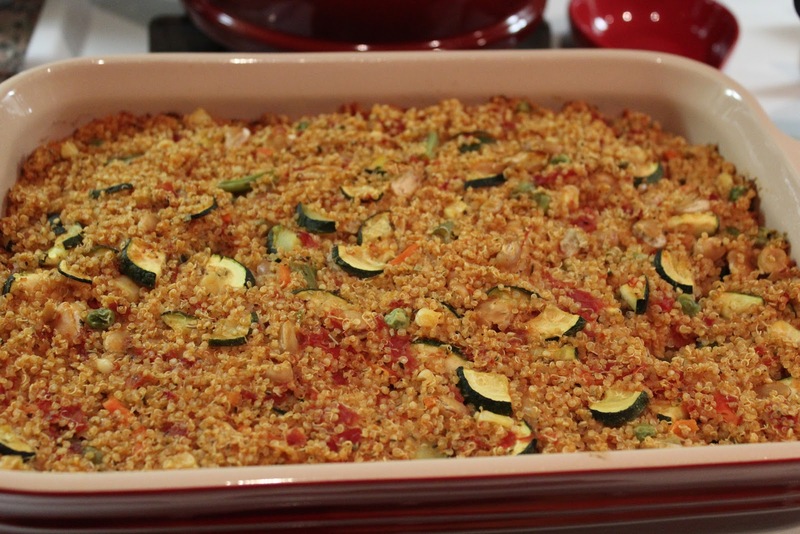 Spray a deep baking dish with cooking spray and transfer quinoa mixture to baking dish. Place in oven and cook for 30 minutes. Let cool and then serve. If pureeing, puree your little one's portion with a little water and blend until desired texture. Enjoy!